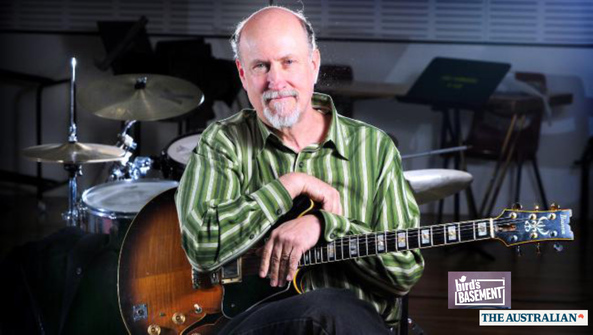 Grammy award-winning jazz-rock guitarist John Scofield will play six shows at Bird's Basement in Melbourne next week. The American musician won the Grammy for best instrumental jazz album earlier this year for his latest release Past Present and was also nominated for best jazz solo performance. Scofield, 64, has forged a long career, having performed internationally and collaborated with greats including Miles Davis, Chet Baker and Charles Mingus. He was last in Australia for the 2012 Adelaide International Guitar Festival, whenThe Australian's John McBeath heard "a versatile and at times incendiary player, equally at home in the bop idiom as well as jazz/rock, funk, blues and soul". During his Melbourne residency, May 3 to 8, Scofield will perform songs from hisCountry for Old Men project, with interpretations of American country classics. He will be accompanied by bassist Scott Colley and drummer Bill Stewart.